All of the author team have day jobs. Mine is as an advisor to companies, Paul runs the ExchangeServerPro.com site and writes books like the recently released Exam Ref 70-345 for deploying Exchange 2016, and Michael is a busy consultant in Belgium. Without sponsorship, it would be impossible to dedicate the time and energy required to keep the Office 365 for IT Pros project pushing ahead. We would lose the ability to keep the book as up-to-date as possible and we would not have the time to poke into the corners of Office 365 to understand what really happens. As part of their sponsorship, QUADROtech is making some free copies of the book available to people who sign up on their site. We’re very grateful to the support that Binary Tree provided over the last year. Without their help we would not have been able to issue the third edition. At least, not in the content-rich form that it is. We look forward to working with Binary Tree in the future. Now that sponsorship is in place, we look forward to being able to improve the content in the third edition even more and to prepare for the publication of the fourth edition, probably in early 2017. 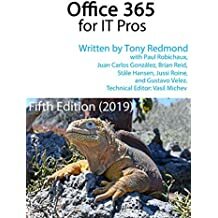 This entry was posted in Cloud, Delve, Delve Analytics, Email, Exchange, Exchange Online, Office 365, Office 365 Groups and tagged Office 365 administration, Office 365 book, Office 365 for IT Pros, QuadroTech. Bookmark the permalink.